Updated Wednesday January 10, 2018 by Fred Steigerwalt. First, this does not apply to Softball (Baseball Only) – Lucky for Softball no standards are changing. In conjunction with Ultimate Sports Academy Batting Cages (behind Starbucks at 15 S. Eagle Road) and C&M Sporting goods the league will host a Winter Demo day. (Ages are based on 2018 season – so if you were a 8u last spring you will be a 9u for this demo) – this way we can set the speed of the pitching machines to be age appropriate, we will also have tee’s on hand. - Easton, DeMarini and Louisville bats will be made available to sample. 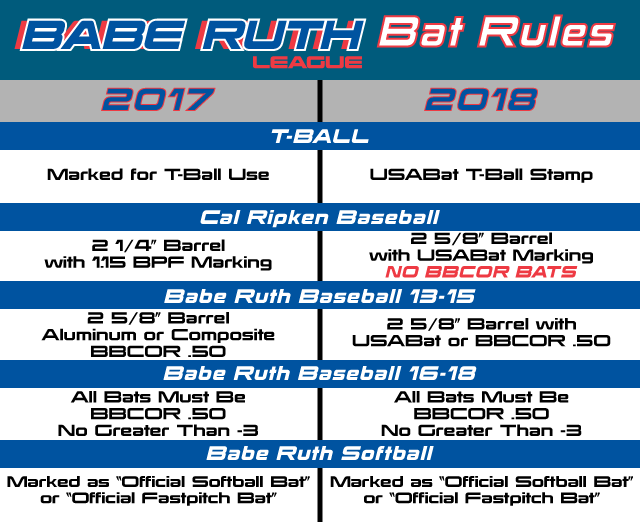 The league will supply bats to each team bag that are legal based on the new rules, so do not feel pressure that your child must have their own bat!